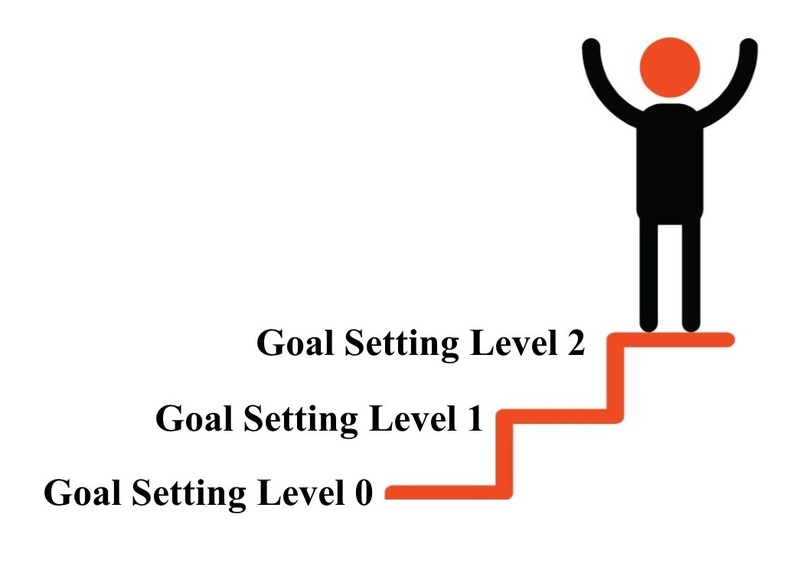 Andrew Heming's Blog: Goal Setting 2.0 – You’re Not Done Yet! Goal Setting 2.0 – You’re Not Done Yet! Every new year brings new goals and those famous New Year’s Resolutions. While you have likely already set some goals for 2017, I have important news for you – you are not done yet! You are missing out on the next level of goal setting. This is the level that will help you to actually stick with your goals and effective guide you on your journey to these goals. Are you ready? Or, the all-time classic non-specific fitness goal – “I want to get fit” What in the world does that mean??? Most people who think they have set goals are not even close. What they have is really more of a generic objective. You can start here, but this is not a goal – you have to keep going. The “get back in shape” or the “get fit” goals require time and reflection to figure out what that actually means to you. Once you have answered these questions – it’s time to move on to the next level! Goal setting takes a critical step past typical SMART goals by forcing you to ask the all-important question: “Why?” It gets to the root reason you made the goal in the first place. In doing so, you get two amazing benefits. I firmly believe that one of the main reasons people fail to achieve their goals is that they fail to make the big-picture connection. We are all busy, life is hard and there are many distractions. In all this craziness it is easy to lose sight of your little fitness goals. In the grand scope of life does it really matter if you gain that inch on your arms or lose that inch off your waist? Instead of setting these little fitness goals, ask yourself, “Why?” Get to the root of why you want to go after that goal in the first place. Hopefully this will lead you back to something bigger and more meaningful. Once you make this connection between your goal and the big picture, you will be less likely to stray from the pursuit of that goal. These big-picture reasons keep me on track with my training and nutrition. Your application: go back to the goals you set for yourself. Ask yourself why you want to achieve these goals? Keep digging until you get to the bottom of this. Make you make the big-picture connection. One of my fundamental training philosophies is that the goal dictates everything. Once you have established a goal it locks you in to what you should and shouldn’t do. Next-level goal setting provides you even greater clarity and direction for exactly what you need to do. For example, a solid level 1 goal is, “I want to increase my squat by 50lbs this year.” However, a level 2 goal starts by asking the question, “why do I want to increase my squat?” Your answer to this question tells you exactly how you need to train the squat this year. Let’s say your answer to the level 2 “why question” was because you wanted to compete in powerlifting. If this is the answer, you know how you should squat: wide stance, sit WAAAAYYY back, wear a big belt and a squat suit. However, what if you are an athlete, and you want to have stronger legs to help you accelerate quicker? What if you wanted bigger quads? In this cause, squatting like I suggested above is the wrong approach. This powerlifting-style squat focuses on moving as much weight as possible to the legal depth. It moves the stress away from your quads and onto your hips and low back. For bigger, stronger legs you want to think “down” not “back” when you squat. This will keep your torso more upright Also, unless you have a really good squat structure, you want to shift to something like a front squat that allows you to keep from leaning over and “missing” your quads. Don’t make the mistake of wandering aimlessly through your training life without clear goals. However, don’t miss the opportunity to enhance your motivation and execution with next-level goal setting! How about you? What are your reasons for your goals? As always, I invite you to leave your questions and comments below or on my Facebook page.